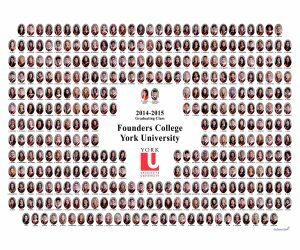 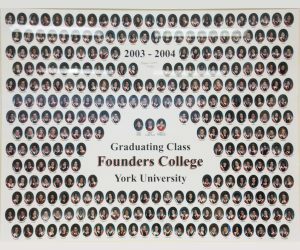 Each student affiliated with Founders during their time at York remains an integral part of Founders Community. 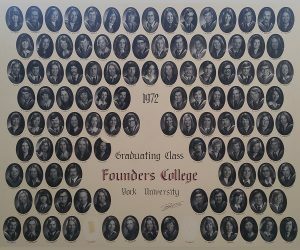 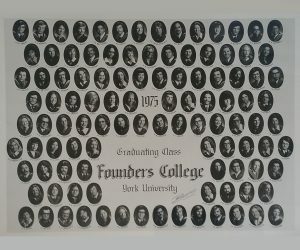 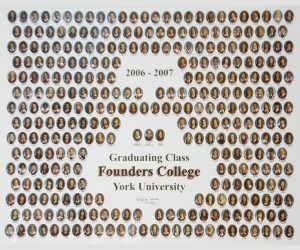 On this page, we recognized the students who have walked these halls and contributed to the rich fabric and history of Founders by displaying the composite photos of past graduating classes. 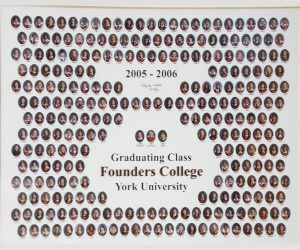 The Office of the College Head is doing its best to ensure that one day soon this page will contain the composite photos from all of the College's graduating classes. 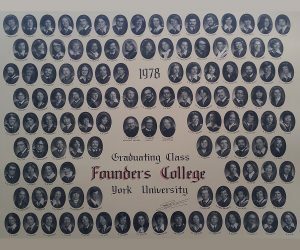 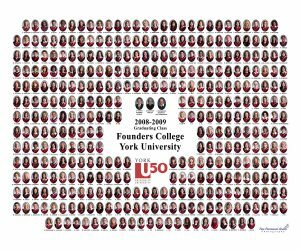 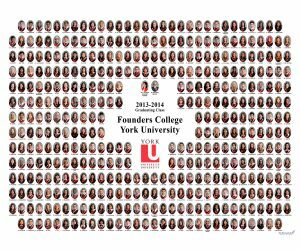 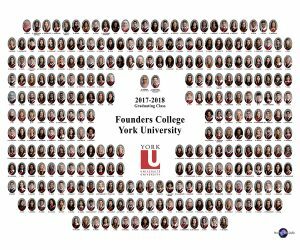 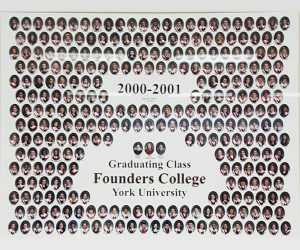 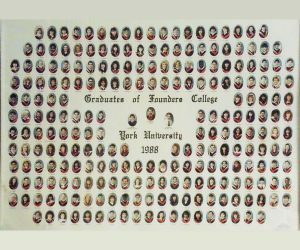 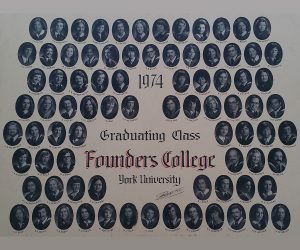 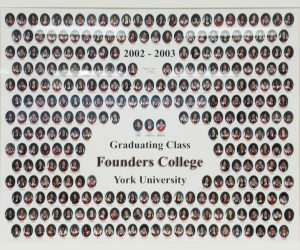 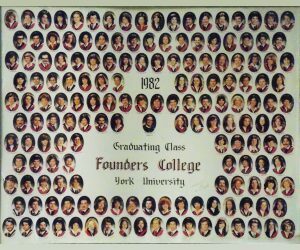 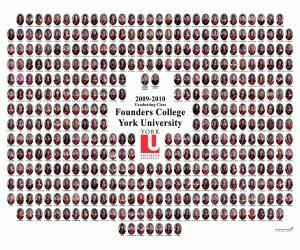 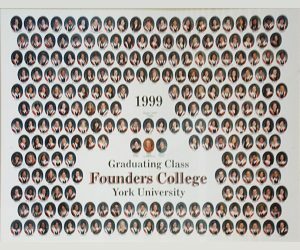 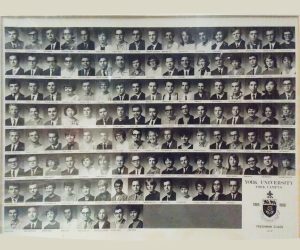 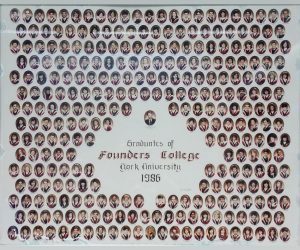 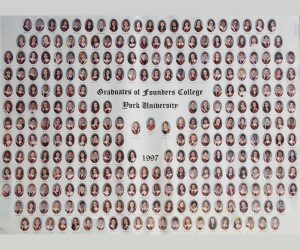 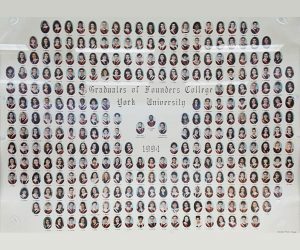 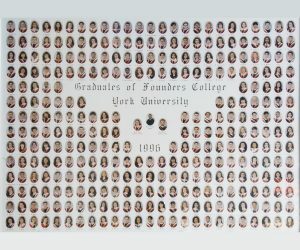 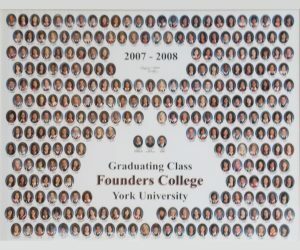 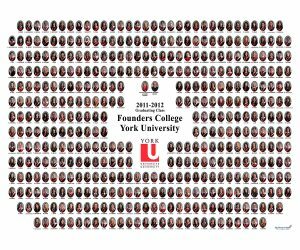 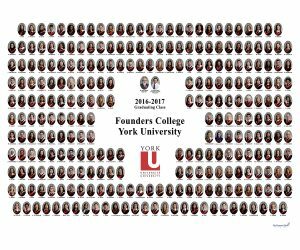 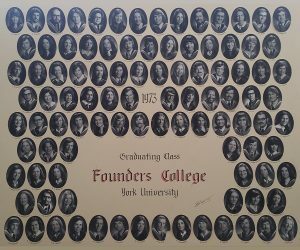 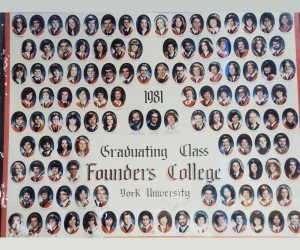 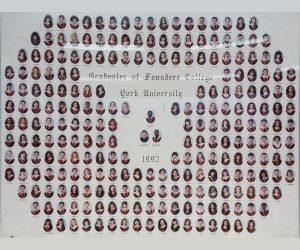 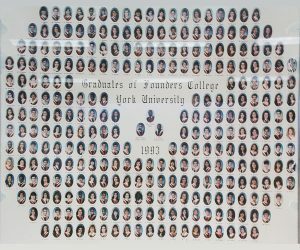 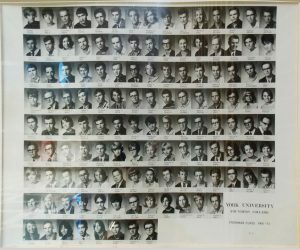 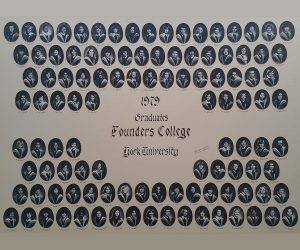 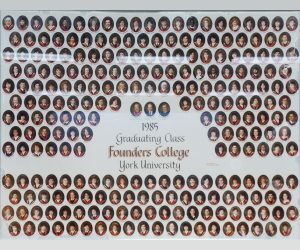 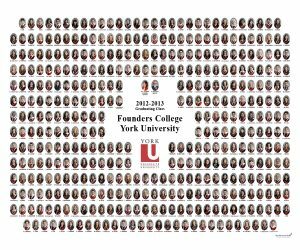 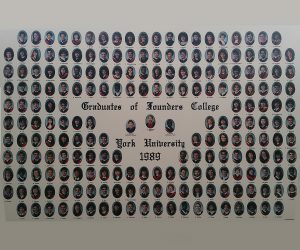 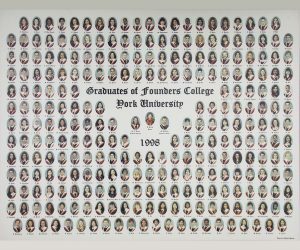 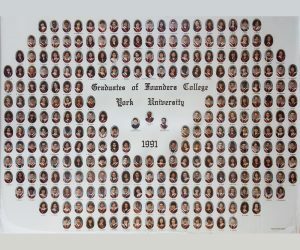 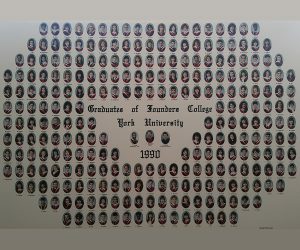 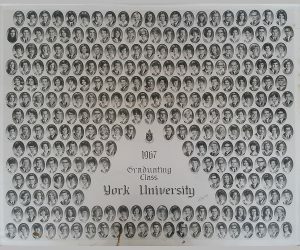 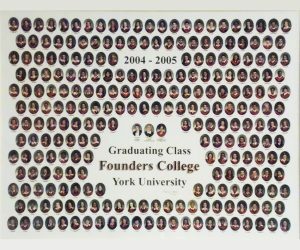 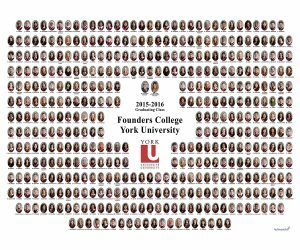 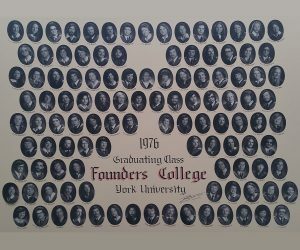 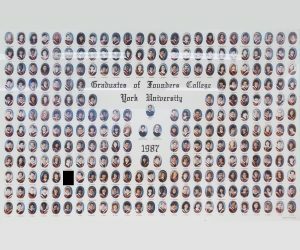 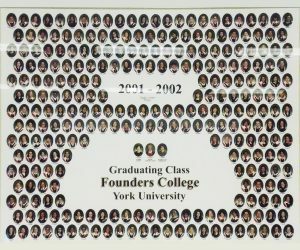 Alumni who would be willing to email a digital copy of any missing graduate composites to help us complete this page may do so by sending the composite to founders@yorku.ca.